ADKINS is fully equipped and capable of moving your next project with our fleet of trucks and trailers. The size and number of loads will never be an issue. We have trained and experienced drivers ready to transport your next shipment. 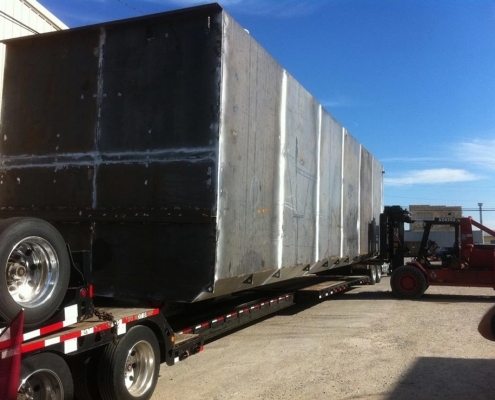 Our fleet of trailers consists of flatbeds, single drops, double drops, forklift lowboys, and specialty trailers. We have moved everything from small, custom-built machinery to the World’s Largest Baseball Bat that now rests against the Louisville Slugger Museum. We are more than capable of handling your next project.